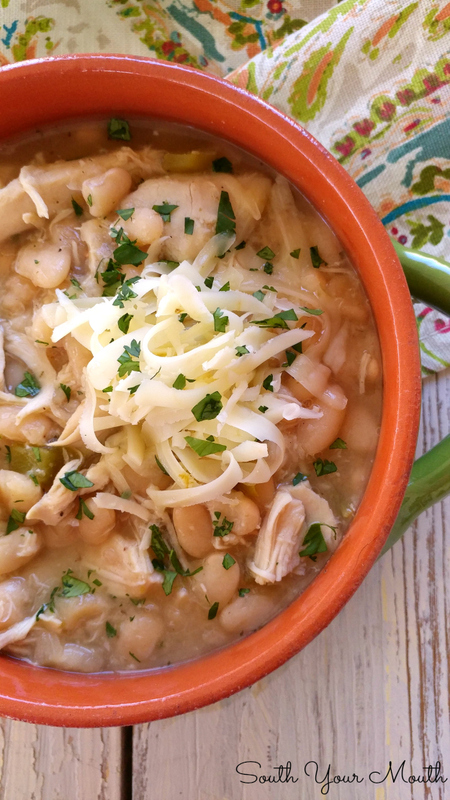 A white chicken chili recipe with slow-cooked creamy great northern beans, tender chicken and tons of southwest flavor! If you live anywhere near me here in South Carolina, you already know that the weather has lost its dang mind. I didn’t put on my big coat all winter and now that we’ve spent a ton of time getting the yard ready, it’s finally time for the kids to start baseball and softball (WHOOP! WHOOP! ), and I’ve officially done my spring cleaning, winter has decided to make an appearance! We went from running the A/C to firing up the fireplace! I didn’t have to defrost my windshield one single morning all winter and have had to do it the last two weeks. Lawzamercy, I don’t know what to do with this weather but I DO know what to fix for supper when it’s cold like this! CHILI! Chili is sort of a hobby of mine (see below for a list of different recipes I’ve tried!). 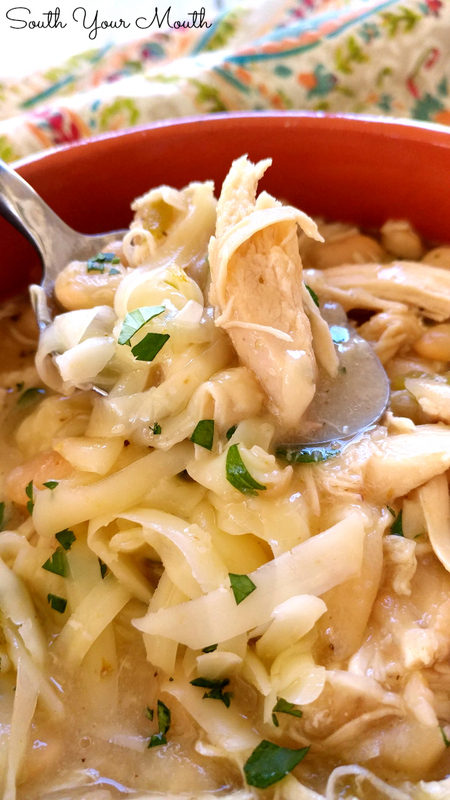 I love to experiment with new recipes so this weekend I made a white chicken chili. I cooked ‘er low and slow and served it all with a hot skillet of cornbread. It took the chill right off my bones AND I had enough left over to pop in the freezer for the next time I need to get warm and cozy. 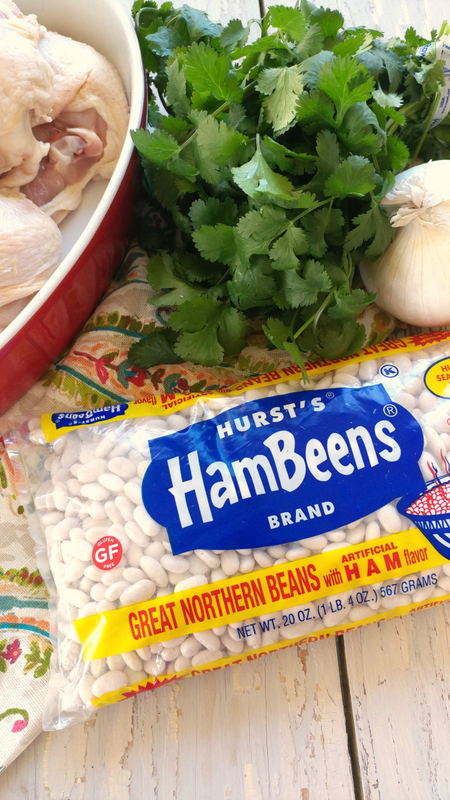 If you can’t find Hurst’s Great Northern HamBeens in your local grocery store, ask for them! My grocery store now carries all sorts of products they didn’t have before simply because I asked for them. 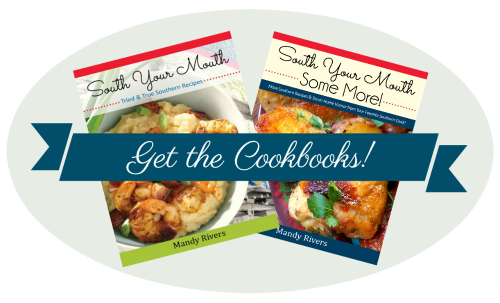 Check out these other chili recipes too! Combine beans (with seasoning packet), chicken broth, water and onion in a large pot or Dutch oven and stir well. Arrange chicken breasts on top of beans then sprinkle with black pepper. Heat until boiling then reduce heat and simmer, covered, for 1.5 hours. Remove chicken, cover tightly and set aside. Add green chilies, cumin, garlic, salt, oregano and white pepper then stir well. Cover and continue cooking for 30 minutes or until beans are tender. Remove skin and bones from chicken then chop or shred chicken into bite-sized pieces. 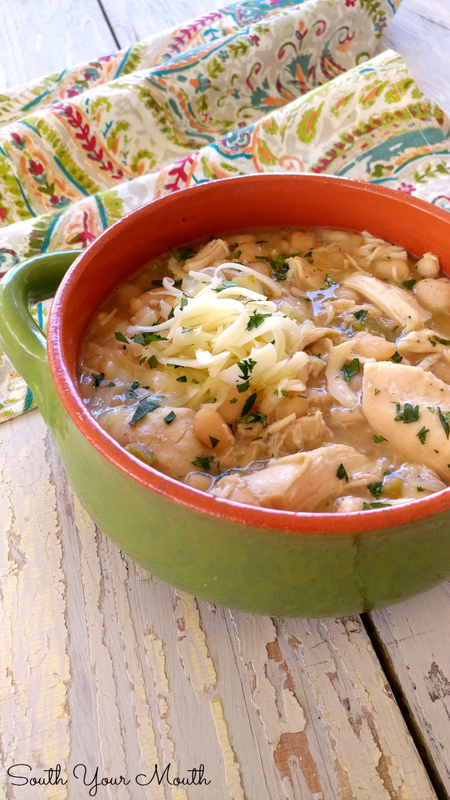 Add chicken to chili and continue cooking for 15 minutes. Just before serving, stir in fresh cilantro (save a little to garnish if desired). Serve with shredded Monterrey Jack cheese. Sliced avocado and/or sour cream would be great additions too! 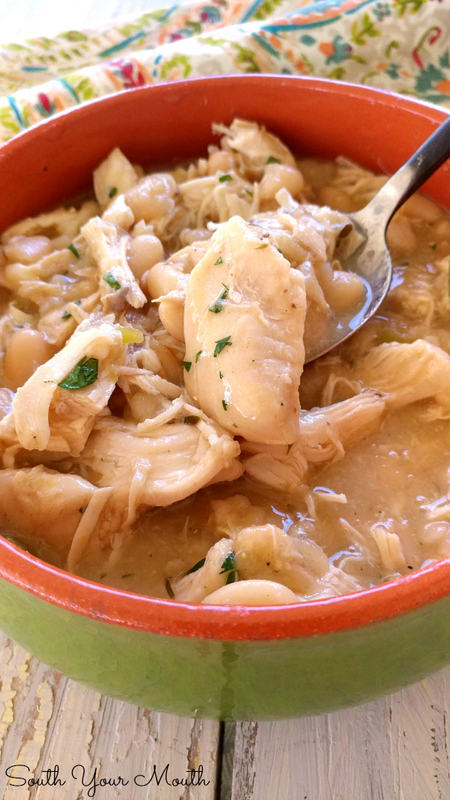 If you can’t find the Hurst’s Great Northern HamBeens order them online or substitute 2 heaping cups dried great northern beans (add more salt to taste and consider throwing in a smoked turkey leg or hunk of salt pork to get some of that yummy smoked flavor). Yes, I do live fairly close to you (in the grand scheme of things) and yes, the SC weather has gone crazy. Blooms on the cherry trees. Fireplace going. All at the same time. A day in the 40s this week. And I think I heard that we are looking for an 80 degree day next week. Mercy! This chili looks yummy. Saving it for a cold day--whenever that might be. July?